Oliver Jordon was just a guy looking to make a living. 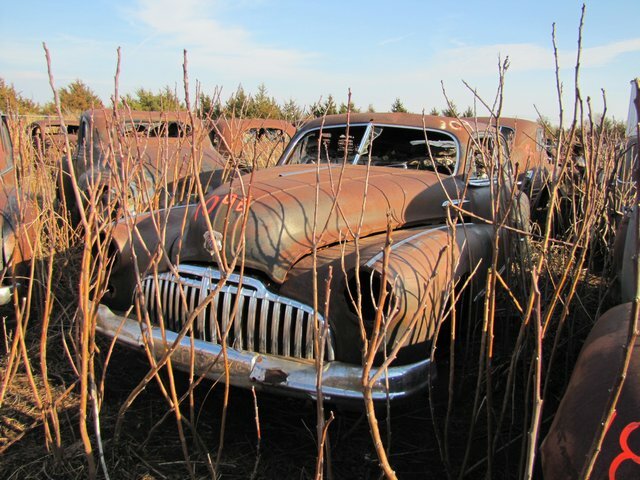 In 1945 he bought a wrecking yard in Enid, Oklahoma and picked right up from where the guy he bought it from had left the business. Cars were coming in, parts were going out, taxes were being paid and the whole cycle of commerce was happily chugging along. At some point between 1945 and 1953, the city of Enid started giving Jordon a tough time. They were after him about the property. They were after him regarding zoning, and the red tape of local government finally became too much for the guy who was just trying to mind his business and make a few bucks to feed his family. He closed the yard down and never sold another part for as long as he lived. 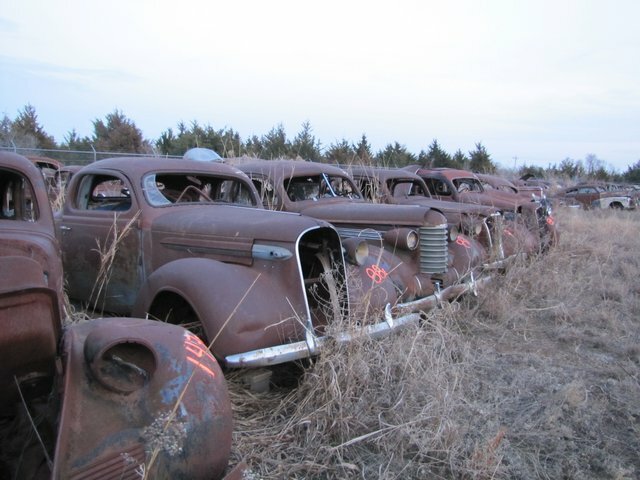 The exact inventory he had sitting on that lot in 1953 is coming up for public auction in Enid, Oklahoma on June 7th. 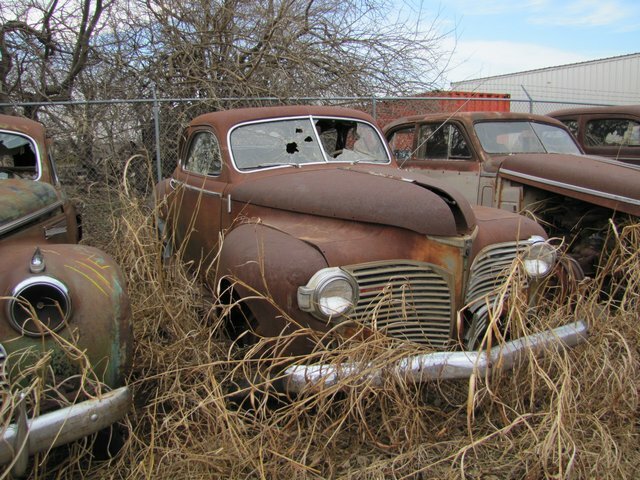 There are hundreds of complete cars, parts by the thousands, and even some old tractors thrown in for good measure. 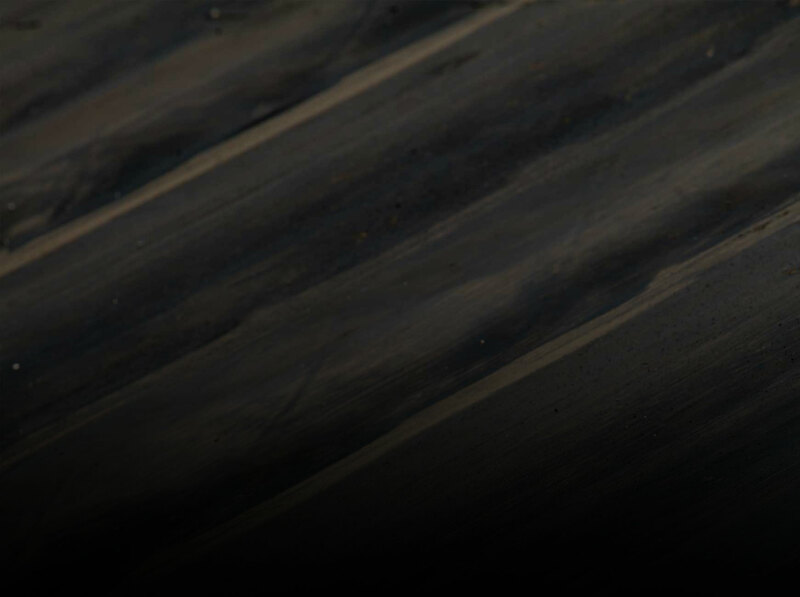 This is steel that has gotten “field seasoned” for more than 50 years. The good thing is that living in Oklahoma it seems to be pretty damned well preserved. Sure the stuff is rusty but it isn’t like it has been eaten by decades of road salt and other junk. That steel is still plenty thick and good. The rust on this stuff looks more like a protective coating then some destructive force. 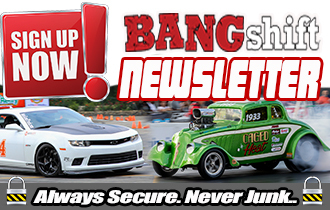 Hell, Chad and I talked about it and there are some cars in this deal that look like you could get the brakes working, slap some tires on, and chug out of the yard. Pay attention to the windshields. More than a couple of these clearly have bullet holes shot into them. Seems maybe Mr Jordon wanted to blow off some steam in his free time and shot some of these babies up! How is there a 57 Chevy if he stopped operations in 53?? It was a personal car of his as we understand. 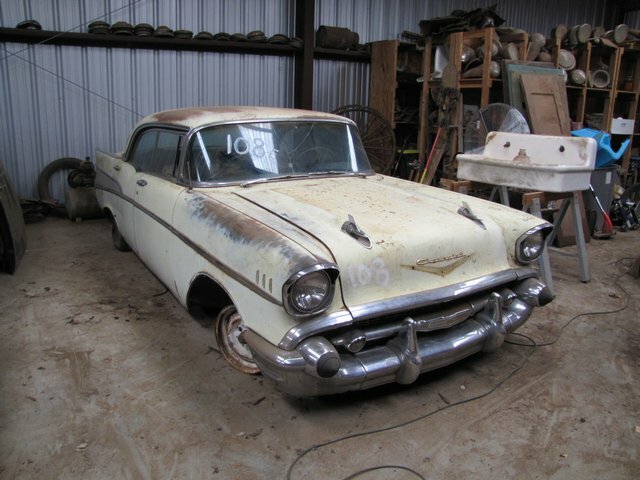 The guy stopped SELLING parts in 1953. He lived at the place. I went by there a lot in the early 70s. Worked on a custom combine outfit (Cut Wheat) Would love to go to this auction.Trouble is i don’t think i could bring enough money. Wonder if there is a $140,000 pickup laying around, like the Nebraska auction. 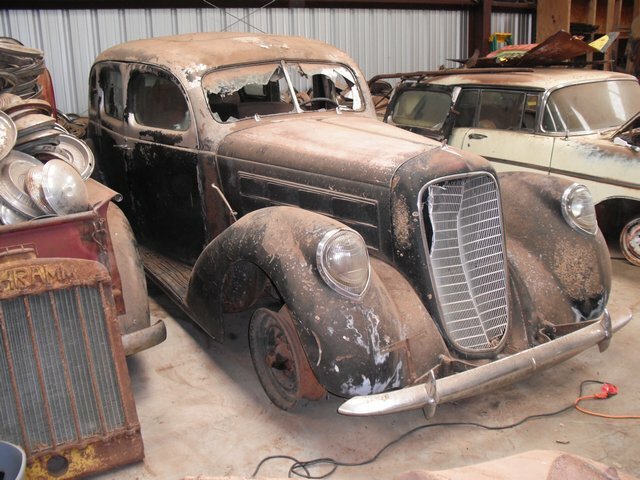 NEED PARTS FOR A 36 DODGE FARGO. ANY HELP WOULD BE GREAT.